When it comes to digital photo printing, one of the biggest problems that photographers tell me about is the age-old issue of “my print doesn’t match my screen”. There are quite a number of reasons for this, as it all revolves around colour-management, and it can become quite a complex subject. Subsequently, most people have, at some point, tried to use colour-management in their workflow, and it either didn’t work at all, or, if it did work, they can’t remember what they did, and can’t do it again! The ultimate aim for using colour-management is to produce images from your printer that look identical, or very similar, to what you see on screen. By doing this, you can eliminate those horrible days of printing images two or three times (sometimes more!) before they look the way you want them to. 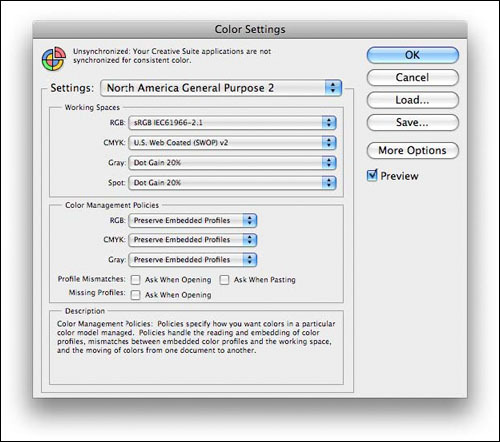 One of the main elements to getting your colour-managed workflow in place is to use “ICC Profiles”. An ICC (Image Colour Consortium) profile is a description of the colour-capability of a device. This can be an input device, your camera or scanner, as well as an output device, such as your own printer, or the printing machine that your professional printer will use to print your images for you. All of these devices are capable of capturing, showing or producing a specific amount of colours, and an ICC profile is a description of what they are capable of. Typically an ICC profile, in printing terms, is created for a particular type of printer using a particular media. For every different type of media you use, you will need an ICC profile for that media, even if you are using the same printer. ICC profiles can either be created using a device called a “Spectrophotometer”, or, more usually for home printing, they can be downloaded from a Paper manufacturers website for free. If you are using paper and printer from the same manufacturer, you may well find that you already have the ICC profile for that particular type of paper, especially if the paper was created for that particular model of printer. As a starting point, I would always recommend that you calibrate your computer monitor before attempting to Soft-Proof anything, as you need to ensure that your monitor is showing accurate colour. If you do not calibrate your monitor, then Soft Proofing will be no help in ensuring that your printed output matches your screen. Be warned!! If calibrating your monitor for the first time, you will normally have been using your monitor with too much brightness, so part of the calibration process will be to reduce the brightness of your monitor, which may then appear quite dull. This is normal, as most monitors are far too bright when you first use them. The human eye is quick to adjust to changes in brightness, and you will become more comfortable with the new settings very quickly, and then able to get on with Soft Proofing your images, and getting accurate prints out of your printer. Your monitor will need to be calibrated on a regular basis, as they do tend to “drift” away from the calibration over time. It is worth doing at least once a month, or more regularly if accurate colour is very important to you. Whether you use sRGB or Adobe RGB is a widely debated topic, with several different answers. My opinion, as a photographic printer, is that you can use whichever one more closely matches the printer that is going to print your images for you. If you are printing at home using a four, six or even eight-ink printer, then I would suggest using sRGB. If you are sending your prints to a professional printer, then they are more likely to have machines with a wider colour capability closer to Adobe RGB, so you could choose this to work with. Scroll down the list until you find the profile that you would like to use to Soft Proof your image on screen – for example, the one sent to you by PrintYours. The list can be quite long, so be patient, and move the cursor slowly through the list, which shows every ICC profile in alphabetical order. To keep the image as close as possible to your original working colours, make sure the “Rendering Intent” drop down menu shows “Relative Colorimetric”, and that “Black Point Compensation” is enabled, with a tick in the box. If you are going to be printing at home, you might want to experiment with using “Perceptual” as the Rendering Intent instead. By default the “Preview” box is always checked, so you can see what effect this profile might have on your image. It is always worth checking the “Preview” button on and off a few times, while you concentrate on the image itself, because this will give you a good idea as to whether the profile you have selected will change your image. Once you have chosen your ICC profile to Soft Proof, and clicked the “OK” button, you will return to the main Photoshop window. 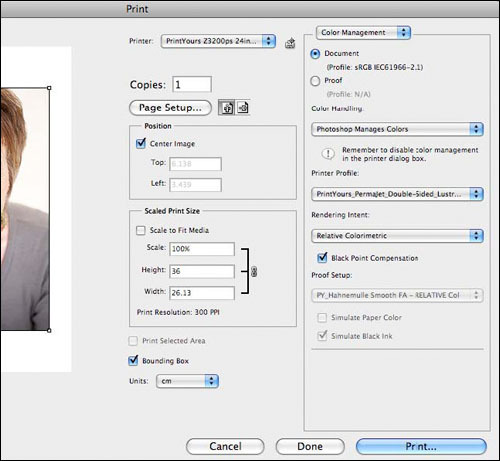 Once you have used this Soft Proofing method, you can now make your Photoshop edits knowing how the image will look when it comes out of a specific printer, using a specific paper. If you see no actual colour shifts, or see no effect of using this profile, that’s good news! It means that your image will print with no colour shifts or banding on the printer/paper combination that you have chosen. Remember, every different printing paper that you use will need its own ICC profile, and you can use the Soft Proofing method outlined above to see what effect different types of paper might have on your image, helping you to choose which paper suits your image the best. Make sure that you have selected your printer in the “Printer” drop-down menu, and set the correct page size for your print using the “Page Setup…” button. Ensure that the drop-down menu on the far right hand side of the dialogue box, at the top, shows “Colour Management” as the heading, and then work your way down the right hand side. Ensure that “Document” is selected at the top (not “Proof”) and then choose “Photoshop Manages Colours” under the “Colour Handling:” header. 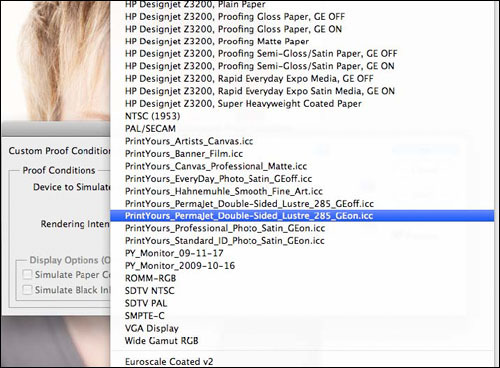 For “Printer Profile” you need to drop this menu down and locate the same ICC profile that you used when you “Soft-Proofed” your image earlier on. Under the “Rendering Intent” I would suggest that you choose either “Perceptual” if you are using a printer with up to eight colours, or “Relative Colourimetric” if you are using a printer with between nine and twelve inks. Finally, I always leave “Black Point Compensation” enabled, and the “Proof Setup” section at the bottom should always be un-selectable. When you hit the “Print…” button, you then need to make sure that within the dialogue box for your own printer, you have selected the “Application Manages Colours” option, otherwise the printer will try to override all the Photoshop settings, and you will get an image that has been double colourmanaged, and you really don’t want that!! As I am unable to test or show each Printer manufacturer’s version of their own print dialogue, I will need to leave you to find the “Application Manages Colours” area on your own. It’s there somewhere, but if you are having any difficulty locating it I would suggest contacting your Printer Manufacturer for more advice on finding this bit. Colour Management is, as mentioned at the beginning, a very complex topic, but I hope that this has given you an insight into starting to use Soft-Proofing and ICC profiles to help you decide what type of media best suits your images, and that you actually get out of your printer what you are expecting to see. Kevin Dobson is an acknowledged authority on Digital Photo Printing. He studied Fine Art (many years ago!) and became involved with the photographic and computer industries in the early nineties. His varied career has seen him work with many of the Computer Industry leaders, such as Apple, Adobe, Hewlett Packard, Corel, Macromedia, Nikon and Wacom. 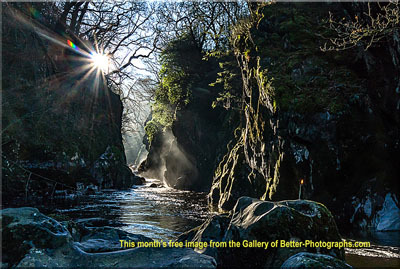 Return from Digital Photo Printing to the Top Tips page.